For retailers, business growth comes from winning new customers. That’s a given. With the global student population weighing in at over 208 million, the best new customers are college students. Commanding up to $143 billion in US spending power, Gen Z has the highest lifetime value of any consumer segment, which is why it’s so important to build affinity with them as their opinions and preferences take shape. 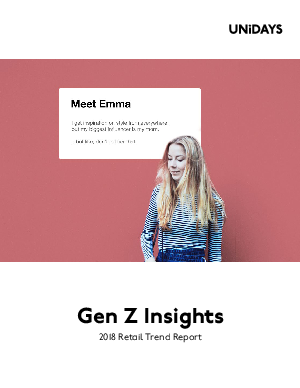 And as up-and-coming Gen Z grabs more and more of the discretionary spending pie, retailers have begun rethinking how they attract, engage, and build loyalty with consumers. Explore the surprising buying behaviors and deep-seated motivations of this connected cohort – and tips on how to capture more share of Gen Z’s wallet – in this new report.